Created by Dr Atia to help people reach their nutritional and body performance goals! Dr Atia's Derma Lift Treatment transmits Doctor formulated Cosmeceuticals into dermis without needles. It creates space between cells, and opens the cell membrane. Then solution can be penetrated into the skin directly and when the electronic pulse is stopped the space will be closed. This process is called Cosmetic Electroporation. Derma Lift is a great pain free treatment with no down time. Now you can have a quick facial lift enhancement prior to that special event, whilst on holiday or during your lunch hour. As this is a no needle, no toxin alternative, it is a perfect anti aging treatment for breast feeding mums. Facial: one treatment per week for 6 weeks (although you will see instant results after just one treatment). Cellulite: two treatments per week for 6 weeks. 1x course for moderate laxity, cellulite or brightening. 2 x course if more severe laxity, cellulite treatment or brightening required. 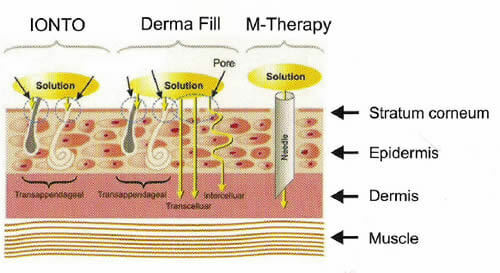 Outcome depends on initial skin quality and treatment duration depends on desired end result. Results may vary between individual patients. For best results follow treatment protocol and steps. 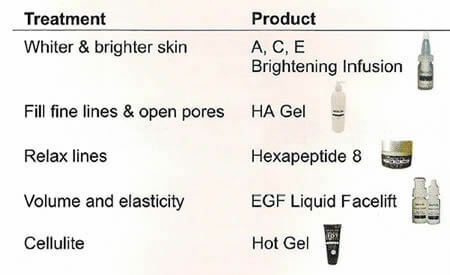 Always prepare the skin by way of exfoliation before commencing Derma Lift and use Skin 02 Treatment Gel and after care home products as recommended by Dr Atia to help maintain and enhance your results.